Out to dinner tonight at the local favorite, Wences. Best chicken enchilada soup in the county, Gail loves the artichokes. 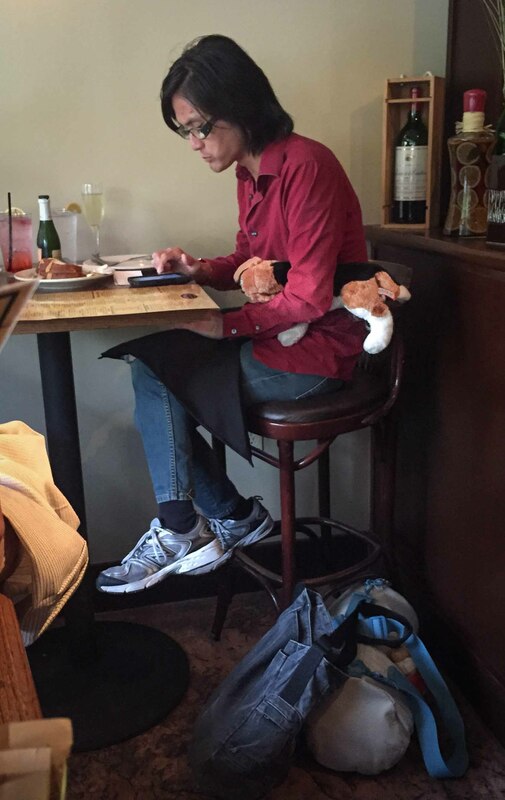 So here’s a guy, having dinner with an attractive woman, with a little stuffed doggie under his arm. At first, I thought maybe they had a little kid he was hold the dog for, but that wasn’t the case. 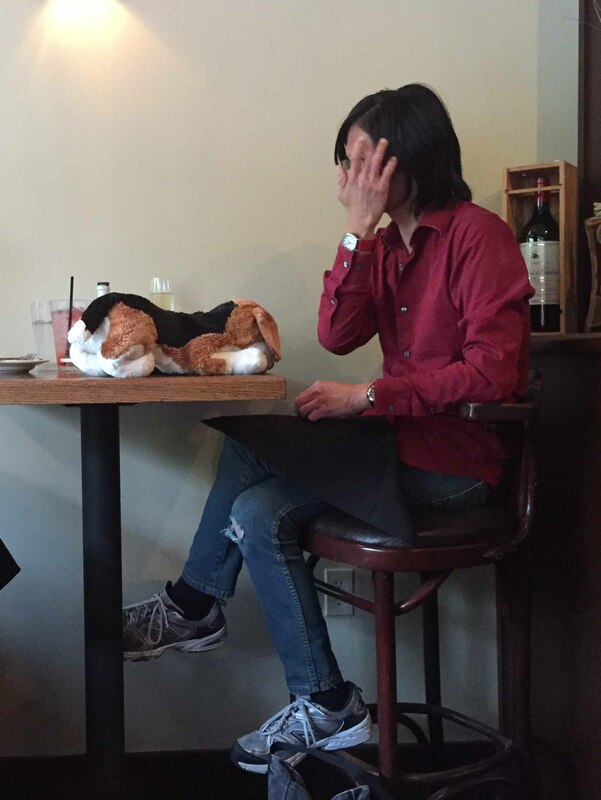 No kid, just a stuffed pet. A little while later, he got up to go to the men’s room, and was careful to take his bag with him. A bag with another tiny stuffed animal sitting in an outside pocket. Men don’t usually take a bag, that’s a girl thing. He came back. Put the doggie on the table, patted it gently on the head, and finished his dinner. Very carefully placed to watch the meal. No, this doesn’t mean anything. I just like to notice things, the odder the better. Wearing a watch on both wrists. One might be a very high end product. Didn’t see enough of the other to judge.